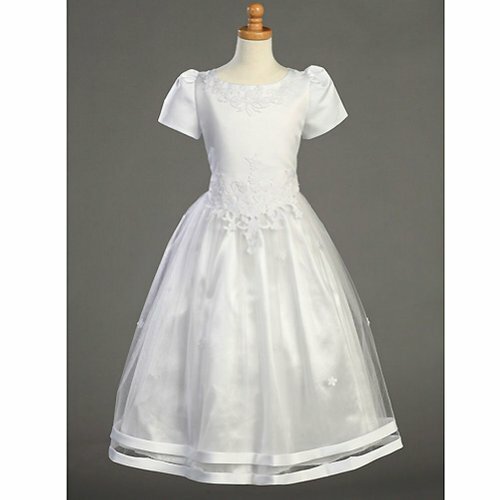 A beautiful dress for your little girl for her first communion by Lito. The short sleeve top has a satin bodice with floral applique. The tea length tulle skirt is full and fancy.